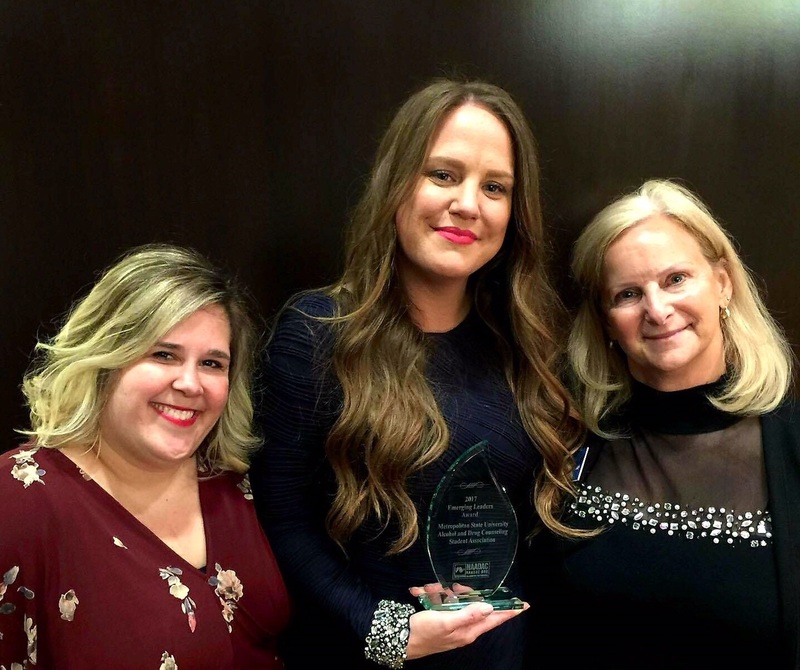 In October 2017, the National Association for Addiction Professionals (NAADAC) recognized Metro State’s Alcohol and Drug Counseling Student Association (ADCSA) with the 2017 Emerging Leaders Award for its service to addiction counseling students and the campus community. 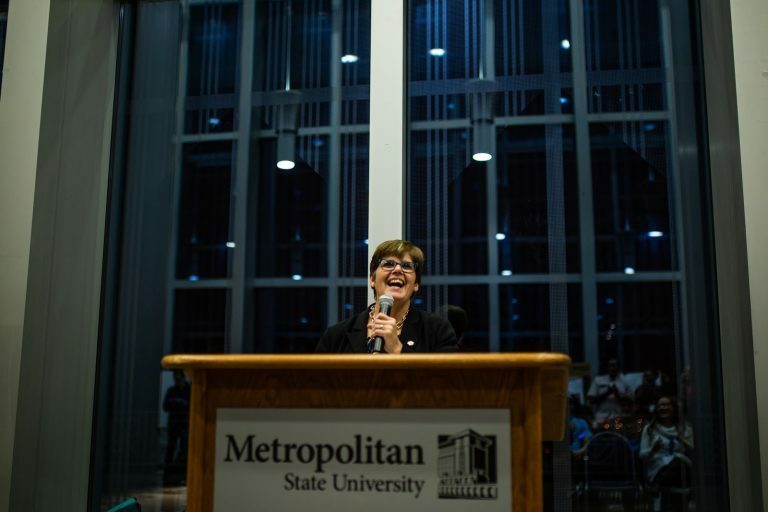 “It was a wonderfully proud moment for the Alcohol and Drug Counseling Student Association,” said Professor Deborah Mosby, director of Metro State’s alcohol and drug counseling program. 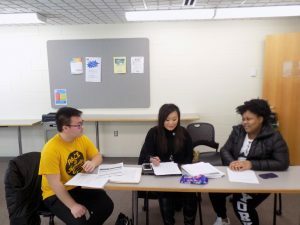 The student organization was nominated for the national award by Professor Therissa Libby, a human services faculty member and director of the Master of Science in Alcohol and Drug Counseling program. Christine Nelson, a former ADCSA president, and Vanessa Kissinger, a former ADCSA secretary, went to Washington D.C. to receive the award. They are both graduates from Metro State’s master’s in Advocacy and Political Leadership program. 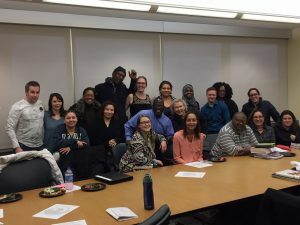 Nelson recalled the hard work by ADCSA students to bring the Minnesota Recovery Connection’s “Recovery Advocacy Seminar” to campus in April 2016. “All this work, volunteer hours, sacrifice… we loved doing it,” she said. “Instead of saying ‘I am an addict,’ use substance use disorder,” said Nelson. Nelson said her Metro State degrees and leadership in the ADCSA fueled her desire to counsel and advocate for the disenfranchised. In addition to her master’s degree in advocacy and political leadership, Nelson also received her bachelor’s degree in social science and certification in alcohol and drug counseling from Metro State. She was a member of ADCSA from 2011 to 2014, and served as president for two years. Today, Nelson is the election coordinator for Anoka County. She is responsible for supervising the election staff and registering voters. “I have always been an advocate for democracy,” she said. When she examines voter applications, Nelson said she goes an extra step to search for individuals who are ineligible to vote in order to protect them from the consequences of illegal voting. She contacts applicants with a felony conviction to inform them of their ineligibility. She tells them their voting rights will return when their probation is complete. Nelson is anxious to see the Minnesota Legislature pass H.F. 951, the voting rights restoration bill. The legislation would reinstate a person’s voting rights once they are released from incarceration. 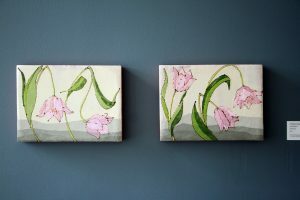 The ADCSA meets in Library 301 in spring 2018. The group meets monthly on Wednesdays during the academic year to plan events. They are partnering with the Nursing Student Organization to host an opioid overdose prevention and Narcan nasal spray training on November 6, 2:30 to 4:30 p.m. in Student Center 101. Attendees will receive training from the Steve Rummler HOPE Network and an overdose prevention kit. For more information and to RSVP, log in to orgsync.com/43185/events/2506729/occurrences/6041020. On the heels of their national award, alcohol and drug counseling students continue to build campus awareness of addiction and recovery. In April 2018, the ADCSA co-sponsored the “Understanding and Responding to Mass Incarceration” and “Breaking Chains” conferences at Metro State. The group also visited with elected officials in support of Good Samaritan protections for people reporting or experiencing a drug overdose. Recently, the ADCSA elected their 2018-2019 leaders: Melissa McMillan, president; Ann Finnerty, vice president; Gretchen Johnson, treasurer; Harry Hartnell, secretary; and Kristen Radford, public relations. For more information, see orgsync.com/47714/chapter or email metroadcsa@gmail.com.